Up to half of the apartments in the newly renovated Hall on Virginia Avenue could be reserved for faculty, officials said this week. More than 50 percent of the space – which now includes 200 rooms – will continue to be rented to graduate students, Weinshel said. It will be the University’s first housing option for professors, part of an effort to recruit younger faculty in one of the country’s most expensive cities. The Board of Trustees will approve design plans in May that will determine the breakdown between graduate and faculty residences, Senior Associate Vice President for Operations Alicia Knight said. Over the next few months, a team will finalize plans for the building, including how to split the units between students and faculty and how much to charge. Weinshel said faculty units will likely be larger – spacious enough to accommodate a family – and more costly. He said most graduate students options would be studio apartments. “Affordable living is as much an issue for graduate students as it is undergraduates, and Foggy Bottom is frankly not an inexpensive place to live,” Weinshel said. 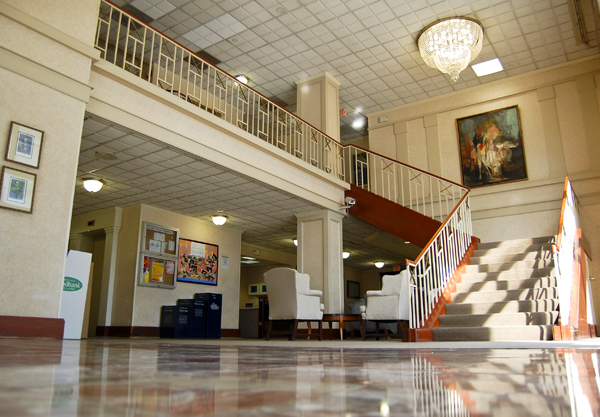 Besides the Hall on Virginia Avenue, the University offers graduate student housing in The Aston and through a partnership with Columbia Plaza Apartments. Demolition on the historical building – used as a lookout spot for the Watergate break-in – will begin later this year, following final approval this spring. Knight added that there are plans to work with the Office of the Provost to finalize the application process, recruitment of faculty and other details of the program. “GW historically has not had much faculty housing, so in the recruitment of faculty it is something that is desirable to have as an accommodation,” Knight said, adding that a variety of unit sizes will accommodate faculty with different profiles and living situations.